Nutcase Helmets has done it again, designing yet another girly bike helmet I’m drooling over! Move over, Dots. The Simi Mini Dots (above) is in town, and I like what I see! 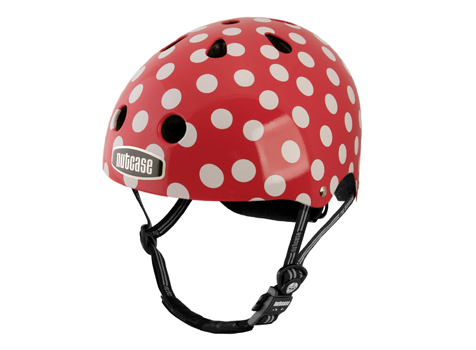 This new red dotty Nutcase helmet has a definite retro vibe, with white dots on a cherry red background. And I imagine I’d feel like the divine Minnie Mouse when wearing it. 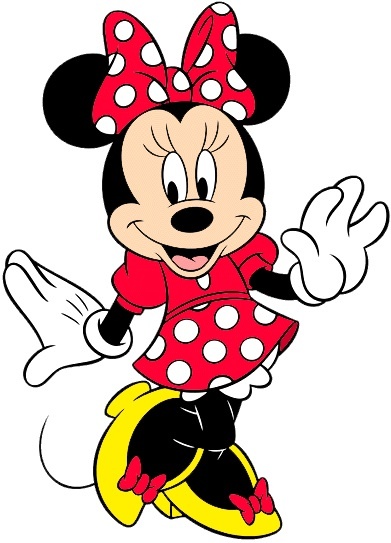 Gosh, I’m hearing her voice in my head as I type (“Oh, Micky!”). I’ll just need a matching polka-dot dress à la Ms. Minnie Mouse, plus ladylike white gloves and bow-bedecked sunny yellow heels. I already have the crinoline (it’s true)! My love for Nutcase helmets is obvious, no? And dots, too! Scope out the Simi Mini Dots’ competition below. I wrote about my two favourite helmets before, and I now can’t decide between the two polkadot Nutcases (Simi Mini Dots, left, and Dots, middle) and the Bern Berkley (right). I wish…I wish I could afford all three helmets. You know, switch it up with the seasons and, um, outfits! You can ring my bell! Ring My Bell: Ciao Bello to My New Public Bike Bell, Federico!